If you went to the Airbnb Open this year it’s likely you’ll have come across Alex Nigg and Tammi Simms from Properly. Or you may have met them at last year’s Vacation Rental Success Summit or a Home Away event. 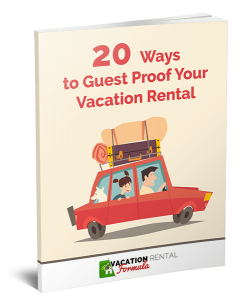 This is because one or the other, or both of them show up just about everywhere there are vacation rental folks involved. And you won’t find two lovelier people to meet. I caught up with Alex at his main office in New Zealand for a second interview (the first was VRSS131) and I wanted to find out what’s been happening in their world over the past 6 months. Alex shared his experience of the Airbnb Open which he said was an amalgam of Sundance (visual arts and entertainment), Tech Talk (lots of interesting ideas from interesting people) and oddly enough, Burning Man, which is about creating a temporary society and building a city around it. And for him, it worked, although he called it more of a festival, than a conference. 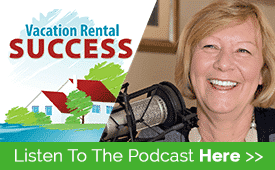 Listen out for him saying that his experience at the Vacation Rental Success Summit last April was more enriched from a VR perspective. We also explored the changing nature of remote hosting and VR management, as it now involves so much more than just changeovers. With the concept of ‘guest experience’ becoming a priority for owners looking to differentiate in order to stand out from the crowd, finding the right person to represent them becomes significantly more important. Alex talked about the importance of collaboration and how his business, Properly, is allowing this to happen, and demonstrating huge success. Why it’s important to make an ordinary listing stand out as extraordinary. Great Podcast! I love the Properly app, use it all the time and just landed an amazing cleaning lady just recently while using it. Thank you. That’s so wonderful to hear Gary! We love that you’re using Properly AND you found a fantastic service pro. Music to our ears.